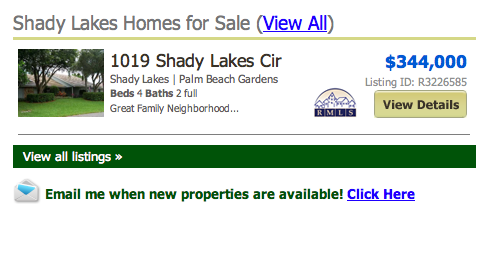 Shady Lakes Palm Beach Gardens homes are a beautiful and quiet hidden community off PGA Boulevard. 97 custom homes in all are on generous lots with minimal homeowners association fees. The streets are lined with sidewalks. Lush tropical landscaping creates a true neighborhood feel. Shady Lakes were built for people who wanted a bit of space. Basketball courts, spacious backyards, a community picnic area and views of lakes, preserves and gardens with large shad trees is what this development is known for. Single family homes range from 1900 to 2500 living square feet under air. Most have great outdoor living with large covered loggias, screened porches and pools with ample decks. Public and private schools are all within proximity. Shady Lakes can be reached from I-95, PGA West, Past Military to Shady Lakes, Right/North into Entrance. There are only 5 streets in all. Quail Ridge, Willow Run, Pine Hill, Shady Lakes Circle, and Whispering Hollow round out the subdivision. PGA National Resort & Spa is a great choice for social activities, golf, tennis, and restaurants. Superb shopping is at the Palm Beach Gardens Mall. The beaches and an array of marinas are within 15 minutes. 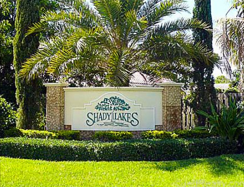 If you like tranquil and peaceful living near the center of town, than Shady Lakes real estate for sale in Palm Beach Gardens Florida is a great place to call home. 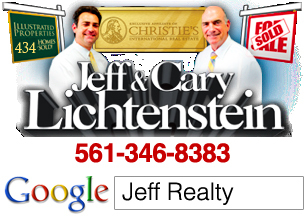 Posted in palm beach gardens homes, Uncategorized on September 27, 2011 at 11:30 pm.